YCAN is hosting an event as part of the Sustainable Living Festival, featuring a talk by Yarra Riverkeeper, Andrew Kelly. Join us as Andrew speaks about the Yarra River’s key role in the biodiversity and resilience of our city as the climate warms. He will share his passion for the health and history of the Yarra. 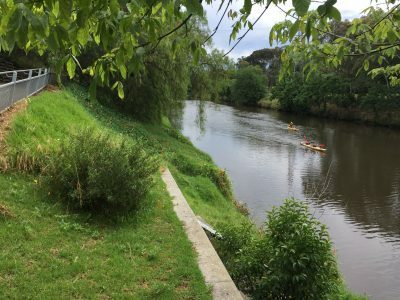 Within sight of a curve in the river, Andrew will outline how all Melbournians must advocate on behalf of the Yarra. This event is hosted by YCAN with funding from City of Yarra.